Kimberly consults for established brands looking to digitally enter global markets and also has a digital marketing agency that works with start-ups after they have secured some funding and know that they need an effective lean marketing strategy. She has worked in 5 different countries, is originally from the US, and now has her home base (in between frequent travel) in Milan, Italy. 1. 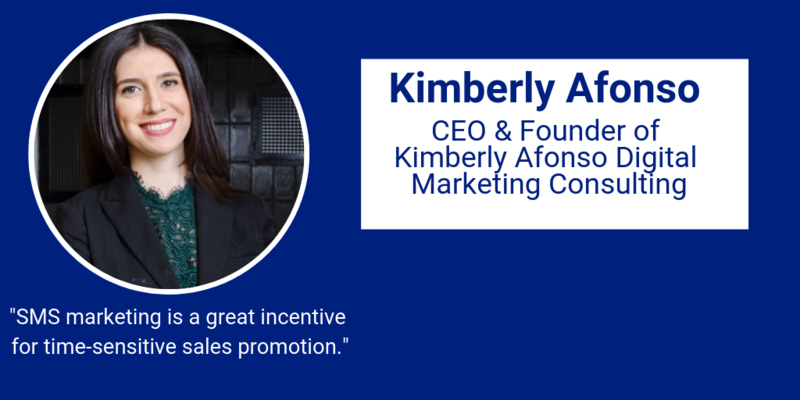 How did you get the idea of the business “Kimberly Afonso Digital Marketing Consulting”? I have always worked in marketing and always loved it, especially because it is a creative field and always evolving. I love to learn new things and digital marketing is the area of marketing where you are constantly expected to do so. I decided to keep my name in my business title because personal branding is everything and people often come to me for my help by searching for me by my name - this simply makes it easier for them to find me. 2. What was your motivation or “the motor” to start your business? I always knew that I wanted to have my own business, as when I worked inside other companies I would get bored quickly if my tasks didn’t change or evolve. I get really excited about starting things from scratch. Starting my business was definitely not easy, but it has been a really energizing experience. I loved to see it grow from nothing. The motivation I have to always learn and grow has definitely been the motor; I would also add that I am a huge advocate of remote working and that was something that also drove me to start my business. I saw a lot of inefficiencies when I worked in office settings, like unnecessary meetings, working hours that do not “work” for everyone, and long commutes. I am originally from the USA but have lived in Europe for the past 5 years, and I also knew that I wanted to work remotely to have the freedom to be able to travel between those 2 continents often. Most of my clients are in the USA so working this way allows me to connect with those that need in-person time when they need it most, and work when I am most productive. 3. What does your typical day look like and how do you make it productive? I travel about 40% of the time for both work (clients, conferences, speaking engagements) and leisure. When I am home in Milan, a typical day looks like this: Wake up at 8am, have breakfast, get ready for my day and read for 20 minutes before starting any work (usually a book, as this is a way that I am able to get in more reading). Taking calls on only certain days has made me much more productive and is my biggest tip to anyone looking to increase productivity. Blocking my schedule and limiting how much I check email and slack also helps me be more productive. I also do not have any notifications on my phone or laptop to avoid distractions. 4. How do you mainly advertise your business? I get most of my clients and business through Linkedin. That is my largest channel to interact with and post valuable content, as in the end I am targeting a professional audience for my services. I also advertise on other social media networks and often speak at conferences for exposure. 5. How SMS can solve marketing challenges faced by businesses today? SMS marketing can definitely help businesses who want to promote sales and interact quickly with customers. I recommend using it for time-sensitive sales, and always adding something like “expires tonight!” To help create a sense of urgency. Open rates are lower on email and in general SMS marketing is less crowded, so it’s a good way to stand out to consumers that are already a bit familiar with your company. 6.What are the advantages of SMS Marketing compared with other online marketing types? Open rates for SMS marketing are very high, often much higher than even emails. People usually open their SMS’s right away as compared to when they receive an email. This helps marketers secure higher open rates in businesses that can develop a strong call to action. Time-sensitive sales are great to promote through SMS marketing, for example. 7. What SMS strategy have you arranged for your business promotion and which one has brought success? I have helped my clients with SMS strategy and one that brought a client success was using a code to Opt-In to a weekly promotional update list. Consumers like to receive deals from brands so this helped boost their sales and visibility, and then they were able to promote sales weekly to that group of customers. 8. What are the key developing factors for your business? Personal branding is really important. People will not only Google a business’s name, but also the CEO’s name. Invest in your personal branding on platforms such as Linkedin early on. Networking is also really important, both online and offline. Google yourself and make sure that you have the right image for your business; if you don’t start to work on your personal branding. Another tip would be: know how to structure your business, and early on. Make sure you set the right price for your services. I read a book called ProfitFirst that really helped me structure and think about costs. Outsource the easiest tasks as they are often the cheapest to do so, and keep strategy work for yourself. Manage your time wisely and efficiently. As you can see from my schedule, I work about 8-9 hours per day. I could easily work much more but put limits on the amount I work and how productive I should be. Set these limits for yourself to avoid overworking. 9. What is your general advice for business owners? Be persistent if you have an idea that you believe in. Do your research before starting, and once you start, don’t be afraid to pivot. I thought I would work for a different niche but found that the one I work for now benefits most from my services, so sometimes it takes a while to see who your ideal client really is! Manage your time wisely and do not overwork - we live in a culture that really glorifies overworking, but it is super unhealthy. Make time to sleep properly, have hobbies, and exercise. I run my business by clocking pretty normal working hours, so I am confident that others also can! Ben Guez is the Founder of Lussot, a transportation technology startup based in New York. Ben is a serial entrepreneur devoted to solving meaningful problems that make a positive impact on people’s lives. He’s currently focused on Urban Mobility & Expansion concentrating on holistic transportation solutions and smarter routing. He founded Lussot after observing natural micro-transit hubs like schools, gyms, and large real estate buildings that are currently under-served in growing cities. 1. How did you get the idea of your Lussot? I moved to New York in 2016 and began commuting via public transit for the first time. I had always lived in sprawling, car-centric cities, so that’s how I got around. It was a learning experience for me, but it was intriguing at the same time. I quickly observed that as New York was growing, there were more pockets of residential areas that had poor transit options for the incoming commuter population. Since I was one of those commuters, it was a problem I wanted solved for myself as well. 2. What was your motivation or “the fuel” to start your business? I’ve always been driven to build things that help people. And it’s much easier to do that, when you experience that problem first-hand. As I studied ride-sharing and the trends of cities, I knew we had a big opportunity to solve urban problems like pollution and traffic, while also giving people a better daily experience. It drove me, and it continues to drive me everyday. My day typically starts checking emails, news outlets, and catching up with my team about short term and daily tasks (If I’m lucky I sneak a workout in so I don’t have to do it at night!). We discuss our team timeline leading up to deliverables and we try and make sure we define all of the work that needs to happen leading up to those deliverables. I’m of the opinion that productivity is easier to achieve when the team’s tasks are clearly defined, delegated, and followed up. Communication is everything. We’re a very lean startup, so we’re forced to be creative with Marketing. Because we’re a rideshare startup, we’ve setup tables and handed out free coffee and flyers to commuters in select neighborhoods. It’s helped get the word out in each neighborhood while also putting a face to our Company name. In addition, now that we’ve published our apps on the app-store (and working on our first routes) we can send emails and SMS messages to our users to stay in touch. 6. 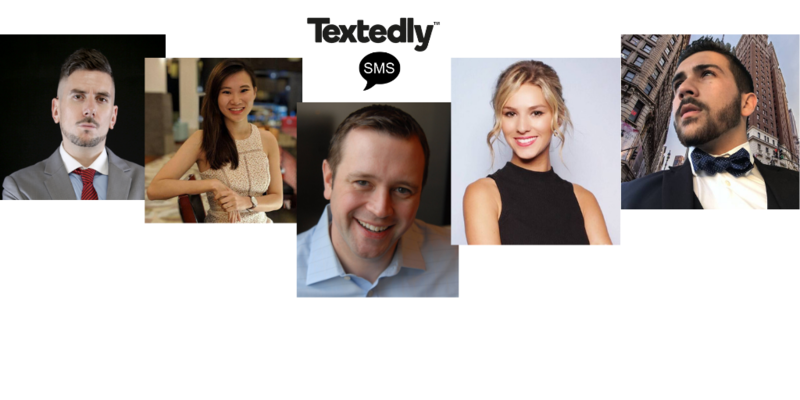 How SMS can solve marketing challenges faced by businesses today? If you’re in a B2C environment, it should be another tool in your toolkit. It should be a part of your campaign that helps drive awareness of what your business is doing while also increasing conversion rates. I think the natural advantages of SMS Marketing are the obvious ones: people always check their texts, messages don’t go to a spam folder, and you’re competing with less noise in the inbox. In addition, I saw some data that engagement is much higher than Instagram and other channels. While we’re still new to SMS marketing, we see it working for us with weather updates. When the weather is poor, people like alternative transportation options that reduce their time outside. We like to notify our customers so they’re not unexpectedly caught in the rain or snow. We see SMS marketing as a developing factor as we acquire more users and define different segments. We think it will have a big impact on hyper-local weather patterns, promotions, and other happenings. Our key factors are identifying patterns where we can help people have a better daily life. Our first success has been partnering with operators and tweaking their current routes for better ROI. We’re working on that now, so I’ll have more info in a few months! My biggest advice is patience. Rome wasn’t built in a day, but if you believe in your vision and you can see progress (no matter how slow) you can make a difference in the world. It’s the long-view that will help you lay out the groundwork to create something lasting and special. Why SMS marketing is the best solution to your business?